The first thing you’ll notice about this wine is that Garnacha is displayed prominently on the front label. This is to distinguish it from the more usual Tempranillo. 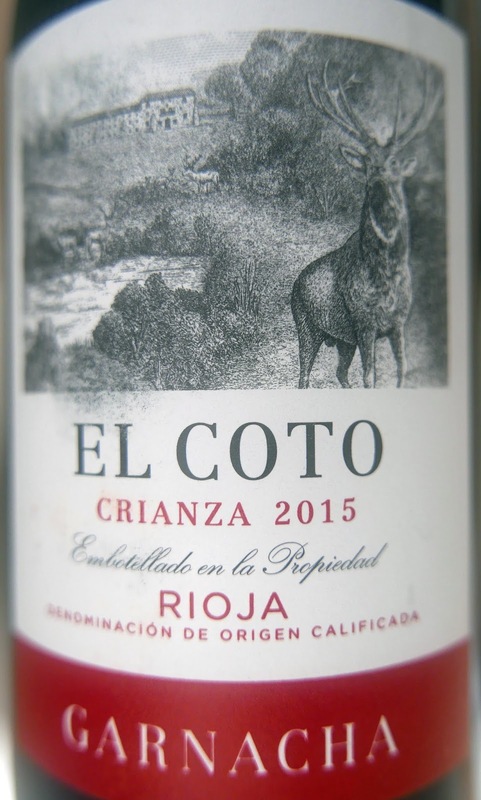 El Coto has six or seven vineyards in Rioja and these grapes come from their Los Almendros vineyard. I certainly liked it very much. It has a mid-ruby colour with a lovely sheen. Pretty intense red fruit aromas, hints of vanilla. 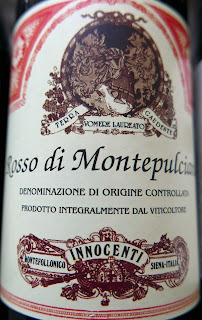 Juicy and fruity (cherry and more), fresh with balsamic notes, good acidity, fine tannins in a long finish. 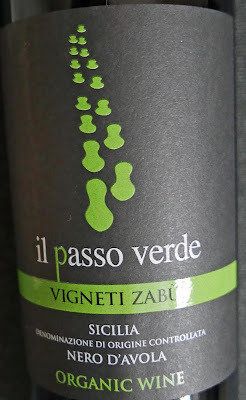 A vibrant harmonious wine, easy-drinking and Very Highly Recommended. The character of the fresh fruit has been carefully respected during its 12 months in 225-litre American oak barrels (followed by six months in bottle). It comes to you silky and velvety with good intensity. Serve at 16 to 18 degrees. 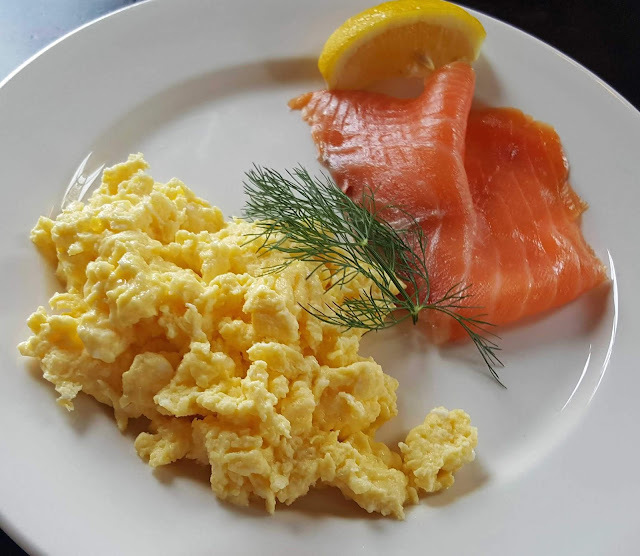 Perfect, they say, with white meat, certain fish (especially cod), veal and mild cheese. 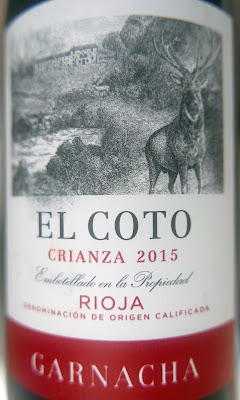 This compelling organic wine from the south east of Spain is a blend of Monastrell (70%), Cabernet Sauvignon (20) and Tempranillo (10) and aged for 12 months in Hungarian oak. It has a dark ruby colour and the legs are slow to clear. Rich powerful aromas with blackcurrant perhaps the more prominent. 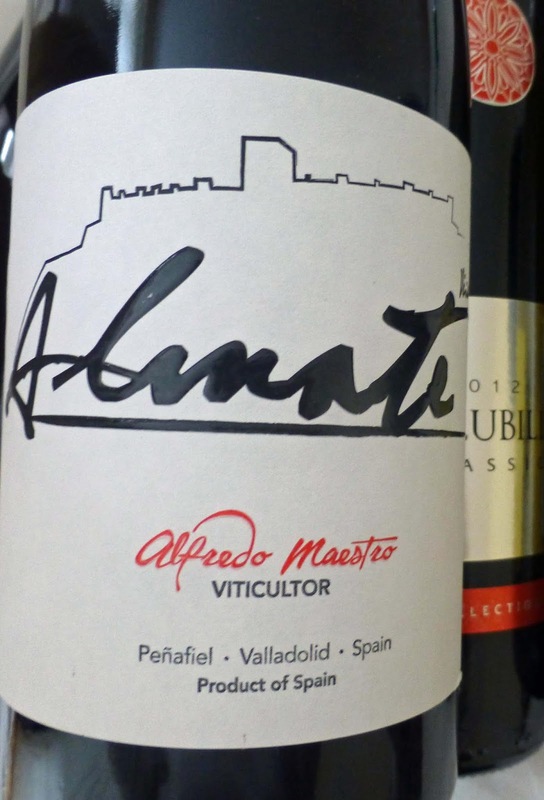 Super concentrated flavours of ripe fruits, fresh acidity and more than a touch of spice. This layered award winner finishes dry and long. Could be kept for a few years yet but it gives great pleasure right now and is Very Highly Recommended. This is Spanish Wine Week in Ireland. Check here for details of the main events. Three Mid-Winter Reds. Santa Will Love Them. Dear Santa. I have been a little bit naughty but I have said sorry am I still aloud a present. I would love these three bottles of red, please. Hello CorkBilly: I heard about the naughty bit! We'll get over that. These three would work for the Christmas /festive season and or as winter warmers. 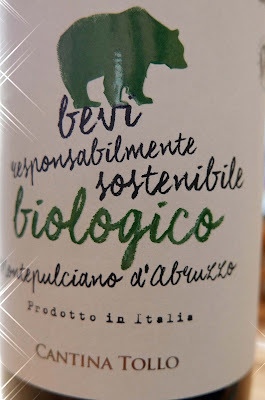 They are sustainable and/or organic in the production of the wine. 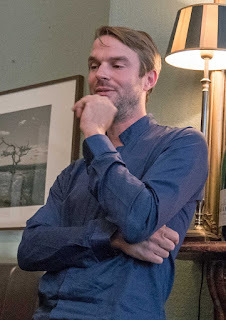 And Marcus, who was an able deputy for Santa, says "these wines reflect the Liberty wines ethos and continue our sustainability focus and curb the effects of climate change by reducing our carbon footprint." You will also note that Rudolph will be wearing a nappy this year; Santa was in Killarney in July checking out the jarveys and their horses. 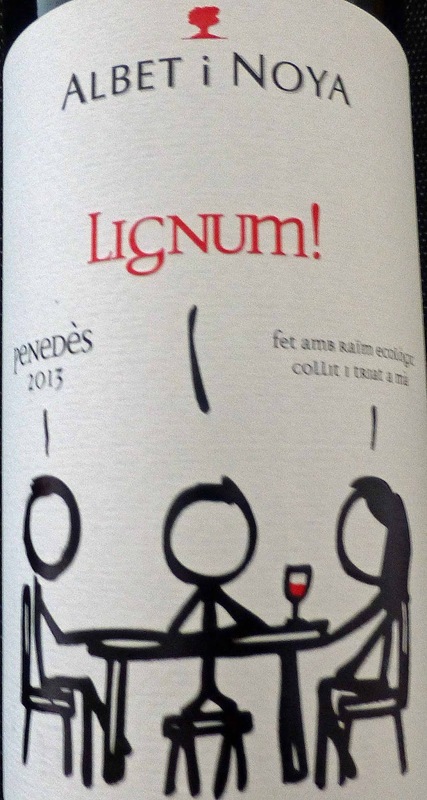 An eye-catching label and a rather fancy name draws you to this Spanish red on the shelf. The 100% Monastrell (Mourvedre in France) is grown organically on limestone soils in a high hot region 90 kilometres from the Mediterranean. Colour is a dark ruby and the legs are slow to clear, confirming the 14.5% alcohol. Aromas are quite intense, cherry and plum noted. 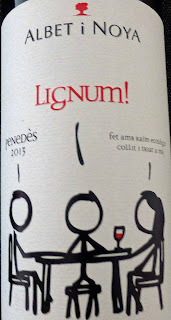 Intense too on the fruit-forward palate, warm and spicy also, good fresh acidity, a hint also of its few months in a mix of Hungarian, French and US oak. Good length on the finish also, the fruit still vibrant. A superb expression of the grape and Very Highly Recommended. Food match: Himalayan Salt Aged Cote de Boeuf. From the Sud de France comes a Merlot to appreciate. Colour is mid to dark ruby and in the aromas there is a mix of red and dark fruit, a hint of liquorice also. It is certainly a smooth customer on the palate, full of flavour with terrific balance, some sweet spice and plush tannins. 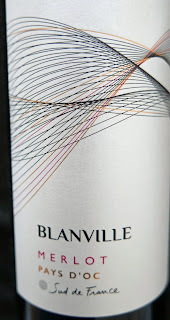 This very approachable wine has a superb long finish and is Very Highly Recommended. The family-owned estate, built parcel by parcel from scratch in 1997, recommend serving it at 16-17 degrees and pairing with red meat and cheese. The year in the vineyard didn’t get off to the best of starts with a cold rainy winter followed by very frosty spring. Early heavy rains though helped the vines through the exceptionally dry and warm mid-summer and harvest, at the end of August, was “one of the earliest on record”. Bernard and Beatrice Nivollet came from Paris to realise their dream of becoming wine producers and now have some 40 hectares. 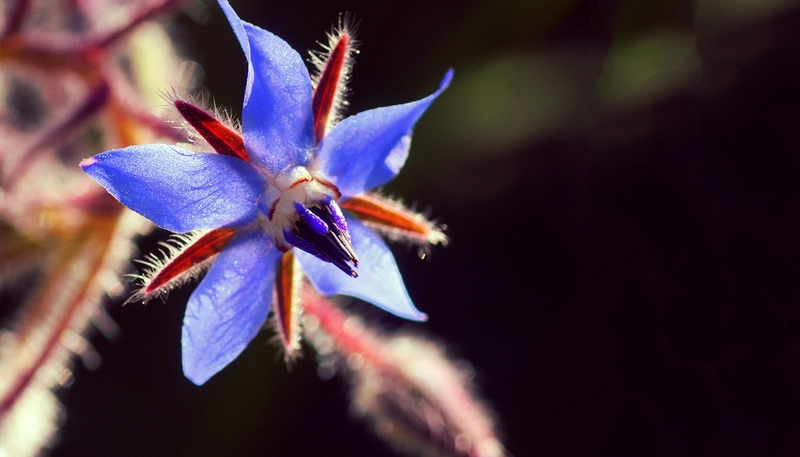 No chemical fertilisers are used as they practice “organic cultivation and biodynamics”. This Vignetti Zabù organic wine is a dark ruby colour. Intense dark and red fruit aromas. Same intensity on the palate, elegant juicy fruit, spicy too, and no let-up in the long lingering finish. Quite an excellent expression of the Nero D’Avola grape, full-bodied and deep-coloured, and Very Highly Recommended, particularly with red meat and game; they also recommended medium aged cheese. The vineyards were planted in 2005 around Lake Arancio in Sambucca di Sicilia. The crystal clear waters provides an ideal micro-climate for the low-yielding vines, and protects them from the heat of the summer. This too was a hot summer, just three showers in July and August! Only the best grapes were selected and they had a long fermentation, the aim being to extract colour, body and aromas. Half were aged in barriques, the rest in concrete tanks, both for six months. Nero D’Avola, almost always part of a blend in the previous century, is now regularly bottled as a varietal. It is often compared to Syrah because it likes similar growing conditions (Sicily has a hot Mediterranean climate) and exhibits many similar characteristics. 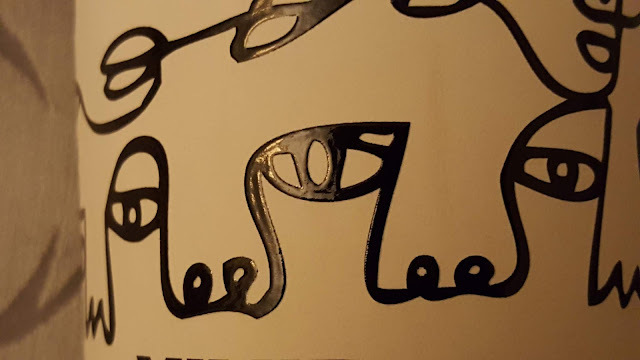 The Meadows of Hive Mind. Bees’ Paradise in Myrtleville. The Meadows of Hive Mind. The honey, in its tallish jar, is of a light colour though a bit cloudier than usual. But there is a natural explanation. It is produced by the bees at Hive Mind in Myrtleville and is unfiltered. The aromas are attractive, mainly light and floral I think. No wonder, these bees are spoiled, meadows of flowers and herbs set out for them. I am enjoying this sample with its smooth consistency, pleasantly coating the palate, the flavours and aromas persistent. Hive Mind themselves have persisted since 2014 and the bees are enjoying their meadows by the sea, meadows planted with herbs and flowers (the seed has been organically sourced) that include: Berseem Clover, Borage, Buckwheat, Calendula, Caraway, Chinese Mallow, Cork Cockle, Cornflower, Dill, Fennel, Phacelia, and the beautiful Sainfoin. The variety of flowers and blossoms from the meadows and the hedgerows help balance the flavours of the honey. Buckwheat on its own yields a dark brown honey which is pungent, the flavour a distinctively malty. Clover, on the other hand, gives a sweet and delicate result, closer to a “normal” honey. The bees love clover but there are quite a few varieties of the plant, so not all clover based honey is the same. “It’s not too surprising to find that the magical, cliff-edged village of Myrtleville, with its stunning views of the sea, is producing some of best wild honey in the country today,” says Aishling Moore, head chef of award-winning Elbow Lane restaurant, who rates Hive Mind amongst the best honey she has ever tasted. And the good news is that you too can help Hive Mind continue to stretch out a helping hand to the Irish honey bee. 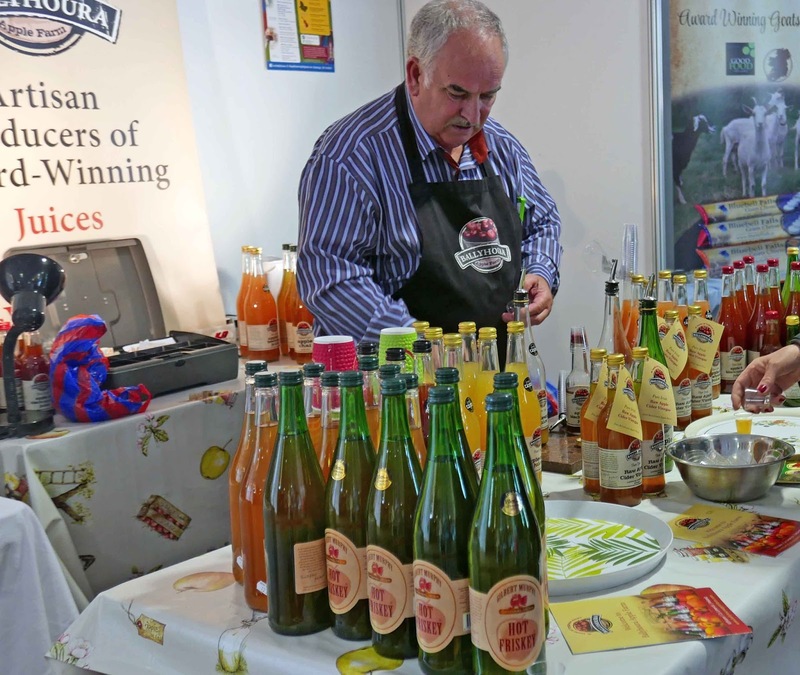 Mark Riordan's apiaries and bee meadow are located at his family farm in Myrtleville House. To create a sustainable business Riordan has started 'renting' his hives to organisations and individuals in exchange for his honey. 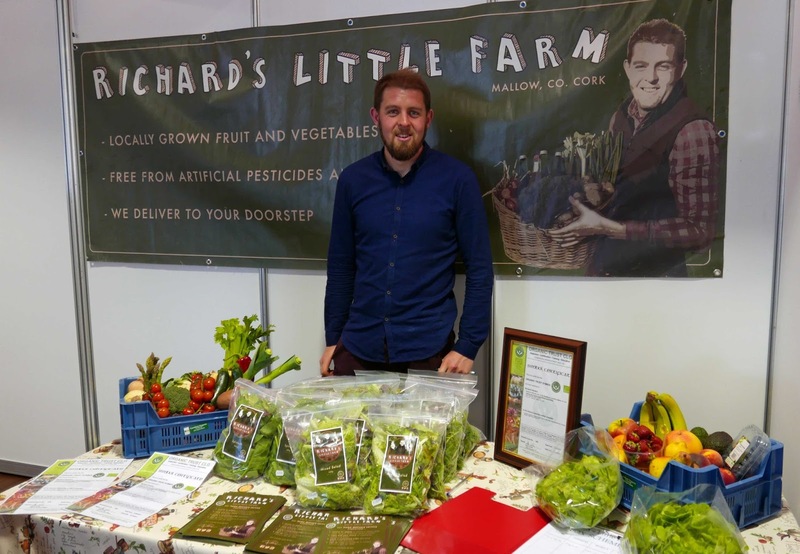 And the Market Lane restaurant group has committed to financially supporting three colonies of honey bees at Riordan's farm. 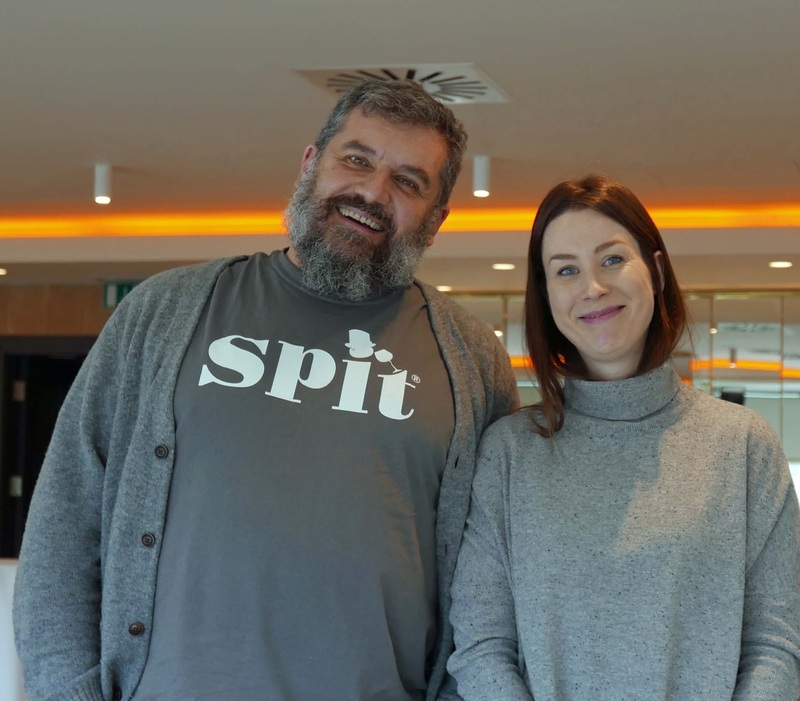 His collaboration with Moore, the first with a restaurant, will not only provide for the restaurant’s honey needs throughout the year but it also means that Riordan gets solid financial support to build up his bee stocks and increase the number of hives. It will also help to maintain a vibrant, healthy habitat for these bee colonies and help Riordan to engage other beekeepers to spread the word. Hive Mind is now making an appearance as a hero product on the menus at Elbow Lane, which is part of the progressive Cork-based Market Lane Group of restaurants. The talented, young Moore has woven this wonderful honey into dressings, sauces and spun it into ice-cream and cocktails. Factors such as weather, parasites and pesticides have meant that local bee stocks are diminishing every year so Riordan sees that initiatives like Hive Mind will be vital for the survival of the honey bee into the future. These black and yellow-striped flying friends are key to the country's biodiversity and economy. It is estimated that they contribute some €53m* to the Irish economy every year. Promote the growth and development of a national passion for beekeeping. Set up provincial apiaries to carry out a nationwide service. Arrest the decline of the honey bee on a local level. Aid in educating and inspiring as many people as possible. To buy by the jar, shoppers can go online and fill in an ‘expression of interest’ form. They will be contacted when the next harvest is completed at the beginning of Autumn. See the website here. A Red and White worth noting. From the heart of the Corbieres garrigue. A Cathar castle in Villerouge-Termenès about 30 minutes from the chateau. 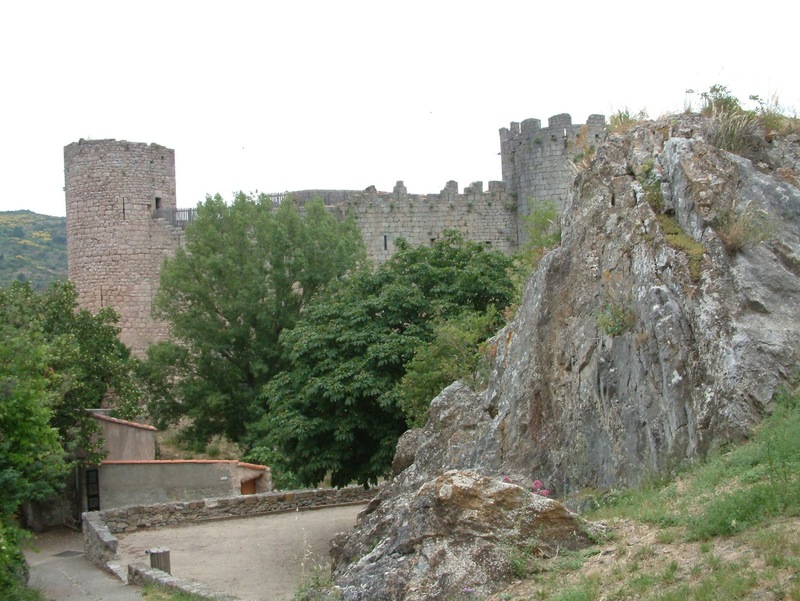 A summer festival when I visited a few years back but in 1321 the last of the Cathar leaders were burnt alive here. 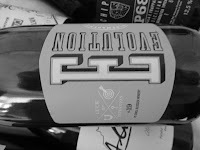 This is a blend of 50% Syrah (some over 40 years old) and 50% Grenache. It is produced in small vineyard parcels, actual clearings in the heart of the Corbieres garrigue (scrub), by organic methods. Add in low yields and you get a “really honest… satisfying red”. The winemakers suggest pairing it with strips of duck breast with ratatouille. One advantage of being surrounded by garrigue is that the vines are well away from the sprays of neighbours. On the other hand, wild boar enjoy the cover of the scrub and so the Mirouze family have to use an electric fence to deter them. Colour is a deep ruby. Something wild, funky they say, about the nose, perhaps it’s the garrigue. Quickly on the palate, fruit, juice and spice emerge in intense and happy combination. Good body too, a tannic backbone and a persistent finish. No shrinking violet this yet it is much more finesse than rustic. A well made and friendly wine and Very Highly Recommended. It is indeed honest and satisfying and, by the way, well priced too. Again, like the red, this is a Bio wine, certified organic. It is produced from the fruit of vines well known in the Mediterranean area, Marsanne (60%), Roussane (20) and Vermentino (20). They hand-harvest; fermentation and ageing takes places in large vats. And the makers have a preference for matching it with Fried shrimp with coriander and other herbs. It has an inviting golden colour. The aromas also attract, with fruit and floral elements prominent. There are gorgeous peachy and melon flavours on the elegant palate, a fresh and edgy acidity to balance and an excellent finish to boot. Very Highly Recommended. One of the better-known Languedoc appellations, Corbieres is also one of the most productive. Its vineyards, situated south and west of Narbonne, are best known for its red wines, and there is now an increasing number of good whites. Château Beauregard is less then fifty minutes from Carcassonne, less than half that to Narbonne (and its Roman Road, the Via Domitia). Casanova on George’s Quay. Gelato. And So Much More! Gelato. And So Much More! On Barry’s corner on George’s Quay, in a clothes shop once run by the Barry sisters (here you could buy elastic for your knickers or, if you were flush, new knickers and more), you can now indulge in the most amazing Gelato. Long after the Barry’s closed their shop, a twelve year old Italian girl so much enjoyed a two week holiday in Ireland that she got it extended to two months. And then promised herself she would come back. Many years later, Barbara did just that. 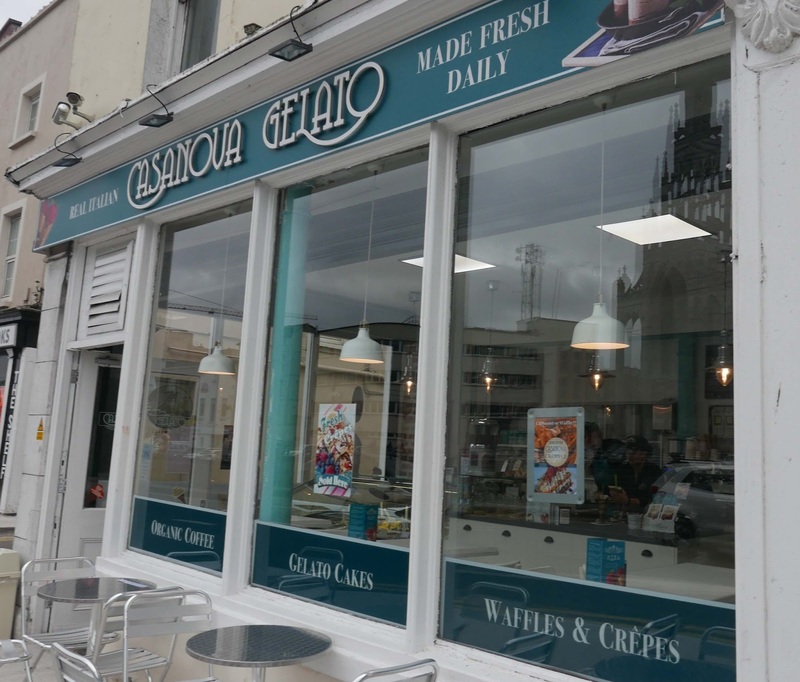 Barbara and her husband Andrea (also with a love of Ireland) set up their shop on George's Quay in August 2016 so that now you can enjoy a real taste of Italy in Casanova Gelato. We did that just last week. 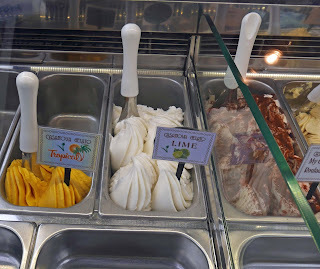 There is an amazing display cabinet with over a dozen gelatos to tempt you. Not the same selection every day, by the way. 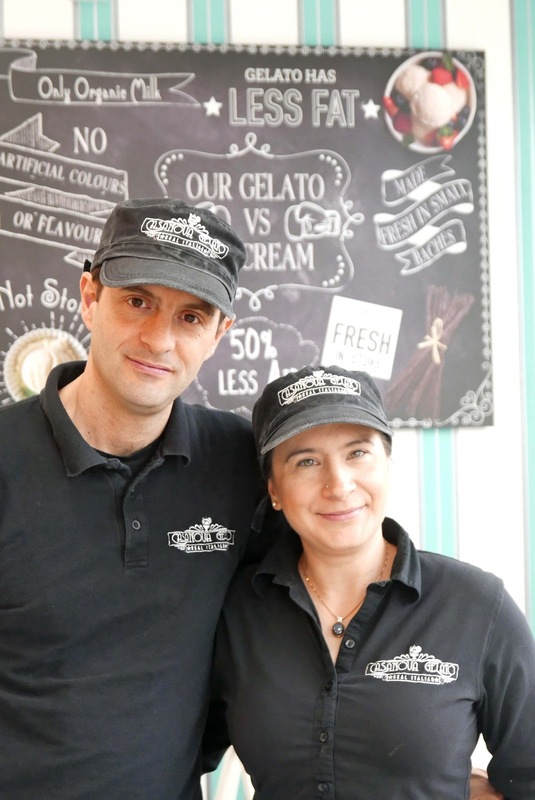 Andrea doesn't want the gelato lying around so he makes small batches that move quickly and you’ll see different varieties from day to day. 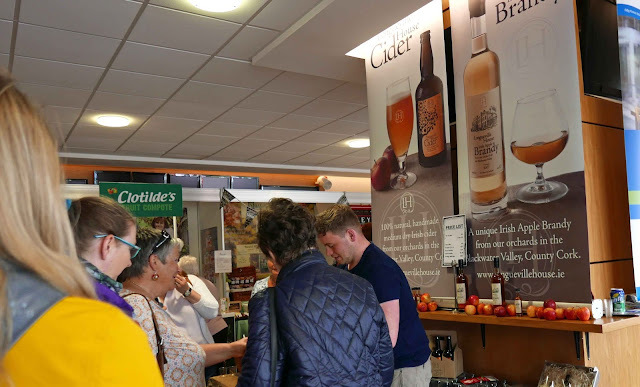 It is one of the best displays I've seen anywhere and that includes San Gimignano, the ice-cream capital of the world, or at least the home of the World Champion when I visited. 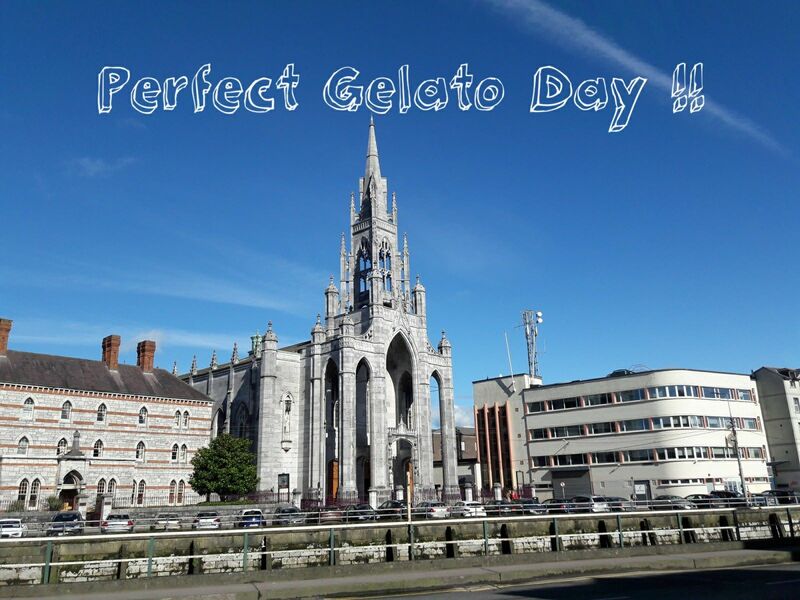 Couldn't wait to get cracking on the Gelatos of George’s Quay. I think Andrea spotted that and soon we each had a bowl with three samples: Hazelnut, Rocher, Chocolate, Chocolate and hazelnut, Mascarpone cheese and strawberry, and Spiruli. 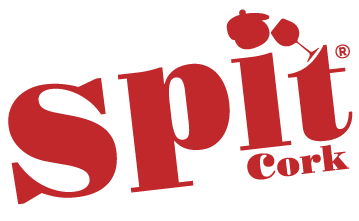 Spiruli? I hear you ask. The blue colouring that so many kids like comes from the natural pigment of Spirulina. Spirulina algae is rich in essential amino acids, vitamins and minerals making Spiruli Gelato healthy for children and adults alike. Aztec warriors considered it “the food of the gods” and the 1974 UN World Food Conference designated it a “food of the future”. It certainly goes down well with the kids and Andrea told me adults like it very much in their Affogato dessert where the colour changes when you add the expresso! So yes you may have coffee and gelato together. 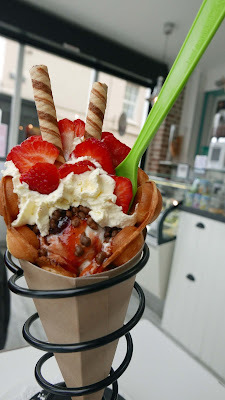 But we were invited in to test-taste their forthcoming Bubble Waffle! Barbara was busy getting that ready and soon presented us with two of them, CL getting the one with the strawberry fruit and sauce while mine had banana and chocolate sauce. A cup of their delicious Agust organic coffee was also provided. We were up to the challenge! 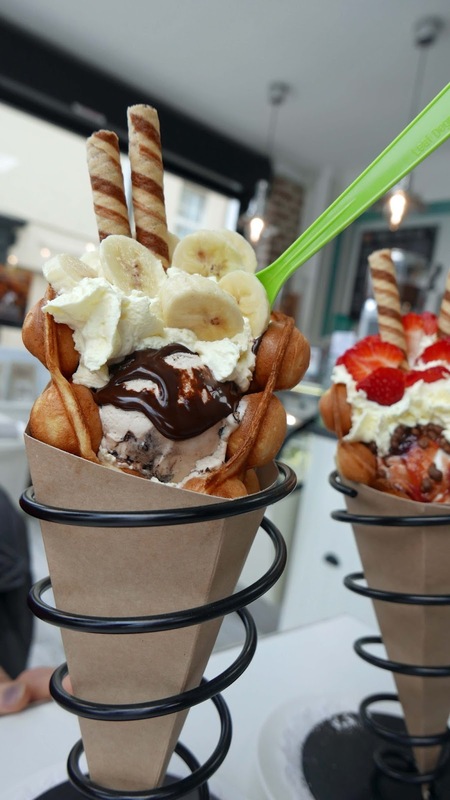 Well, the combination is delicious, all wrapped up in this bubble waffle. It is still a work in progress though, with Barbara tweaking it so that is not too sweet. Her work got a vote of confidence from us and it will be officially launched in the very near future. 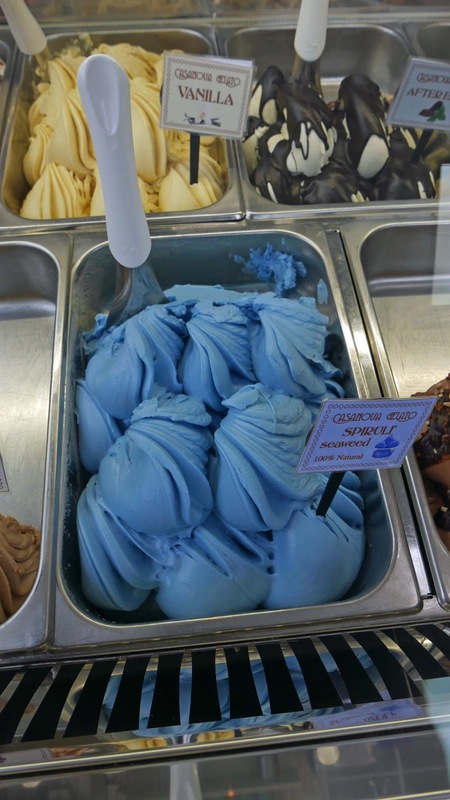 There are dozens of Gelato flavours and these may be used in their waffles as well. Ours was a Special of course with fresh fruit, one sauce and a one topping. A simple waffle and a fruit waffle are also available and you may also have Gelato Waffle (without the fruit). Anyone for a Croffle? Think Croissant and Waffle. So lots of tasty variety. And I haven't yet mentioned their crepes, their sundaes, some special Gelato drinks such as the Casanova Shake and others such as Marilyn Monroe (flavoured Italian style Latte Macchiato made with organic coffee and milk topped with fresh cream). They also have a special range for those with Vegan and those with Dairy intolerances. 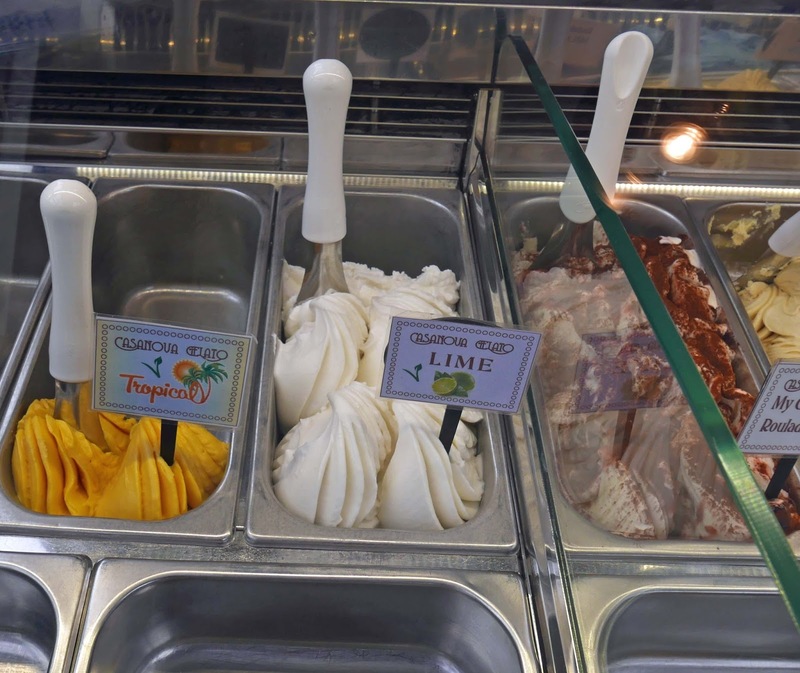 All their Gelato is suitable for Vegetarian; no gelatine is used. There is so much going on in this small place. The reaction has been good and they are pleased with their first year on the banks of the Lee. Barbara told me they enjoy the vibrancy of the city, the amount of festivals and events. “In my city in Italy, a similar size to Cork, they would organise maybe one a year.” But here there is one nearly every week, most recently the Jazz festival (and that was good for Casanova). And the couple are contributing to the festivals themselves. 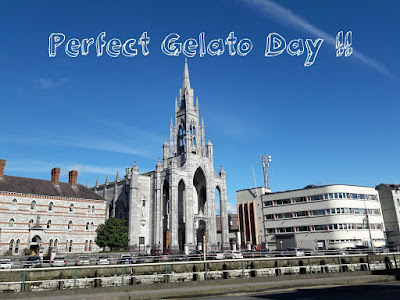 During the recent Taste Cork Week they joined in and held a Gelato Workshop; the 3.5 hours lesson cost €55.00, a lot less than the former World Champion’s €400.00 fee for a 2-hour course! But you don’t need a festival to visit Casanova and treat yourself. It may not be exactly in the city centre but is just a couple of minutes from the South Mall. And you get a good view too. Andrea told me he loves the river and the Holy Trinity Church church on the other bank, another plus when you’re enjoying your Gelato along with the kids or the grandkids. Or maybe by yourself! If you can’t stay, they do a take-away box! 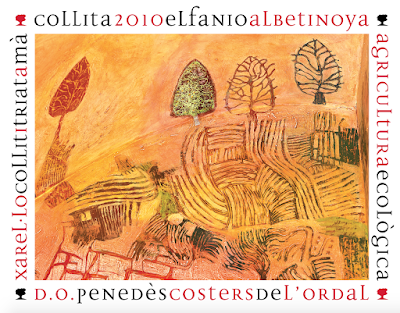 The Albet i Noya family vineyard is situated at Can Vendrell near the village of Sant Pau d'Ordal. 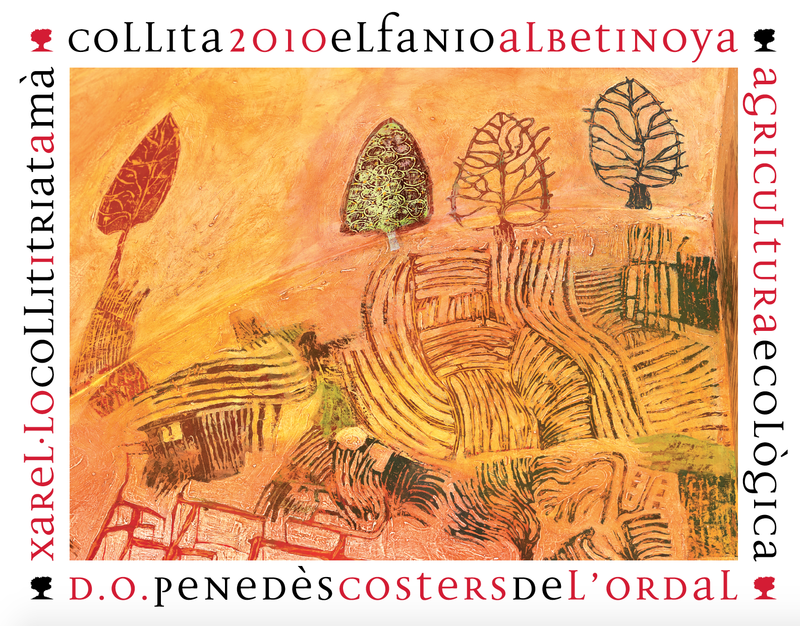 They cultivate 44 hectares of vines on the slopes of the Ordal mountain range in the Penedes region of Catalonia, and have held Organic Certification since the 1980's. The brothers Josep Maria and Antoni are steadfast in their pursuit of excellence and innovation, and their range of still and sparkling wines are synonymous with high quality. 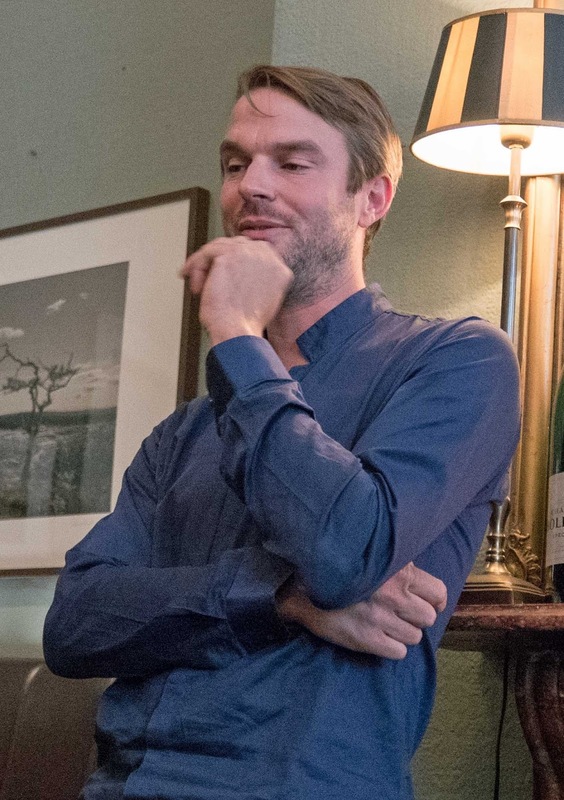 It was Scandinavian influences, staring in 1978, that led to the vineyard going organic. Josep Maria Albet i Noya decided to try one of the vineyards, despite doubts from friends and family. But it worked out well and encouraged him to extend the practice. Healthier vines and healthier wines are the result. 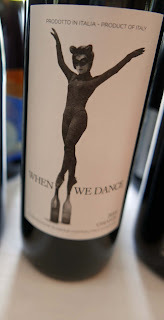 This is a red blend of Cabernet Sauvignon / Garnatxa negra (Grenache) / Merlot / Syrah / Ull de llebre (Tempranillo). 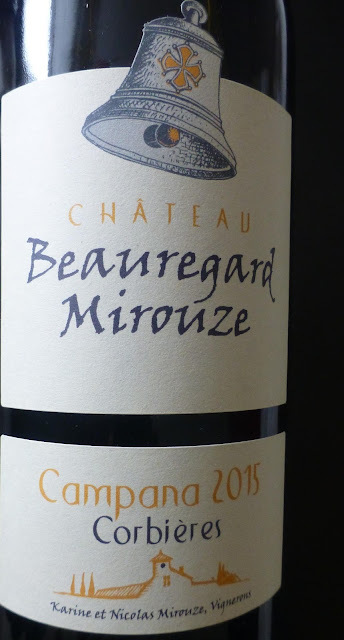 The grapes are “from the highlands of the region” and the wine has spent 10 months in barriques. I had been looking for some help after opening the bottle but my timing wasn’t good: “It’s red, smells like wine and it’s nearly time for East Enders!” In fairness, after the show, I did get a more considered opinion and we both were very happy with the Lignum. It is a ruby red, bright. 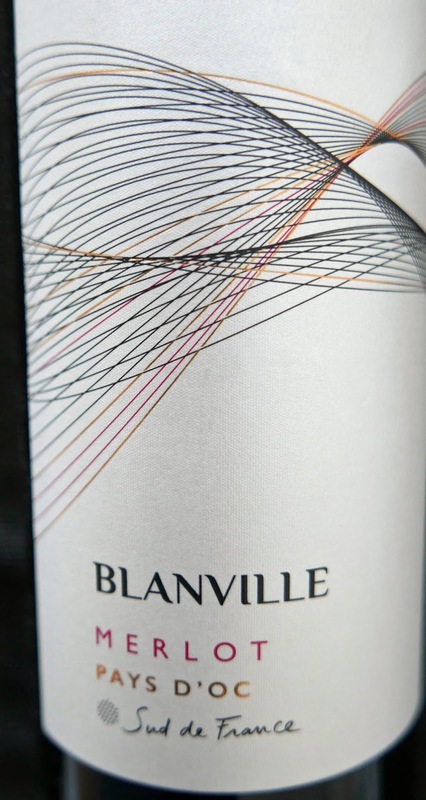 Aromas are an inviting mix of dark red fruits, especially plum. You have the same bright mix of fruit flavours on the palate, spice, smooth tannins. It is warm and supple and dry with a long lasting finish. Very engaging. Could well be a long term relationship! Well made, no loose ends here, a more or less perfect wine and Very Highly Recommended. Good value too. I was a little bit worried when I realised the age of this one. But re-assured when reading that Xarel-lo ages well and this wine is one hundred per cent Xarel-lo. Pale straw is the colour and there are white fruits, honey and herbal notes in the aromas. Seven years it may be but still lively, stone-fruit flavours, touch of melon too. The mouthful is close to succulent - it has spent some seven months on lees. Hints of sweetness but all well balanced by a vibrant acidity and then there’s a decent mid-length finish to follow. Highly Recommended. Would be interesting to compare with a more recent vintage. 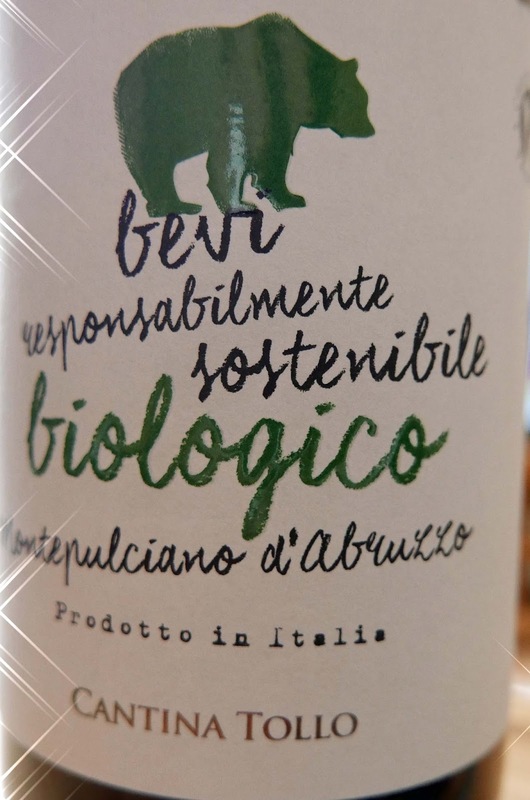 Albet i Noya say: Planted on small terraces of 2 or 3 rows and treated with Biodynamic preparations to heighten the expression of the terroir, the wine is vinified traditionally. It is left on the lees in the porous cement eggs that let it breath and constantly dynamises the wine due to their shape, bringing out the mineral character of the Costers de l'Ordal.